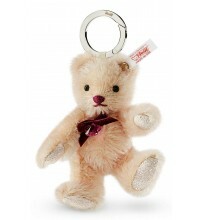 This Steiff Rosa keyring is made in Germany in 2014. She is 12 cm. / 4.8" tall. 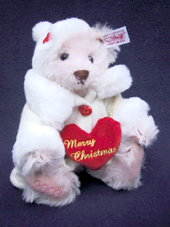 This little Santa is made for Japan in 2003. She is 20 cm. / 8" tall and limited to 2.000 pieces. 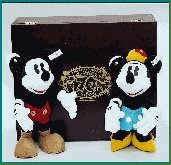 This set is made exclusively for Takara Ltd Japan in 1998 to celebrate the 70th anniversary of this couple. They come in a beautiful wooden mahogany box. Each of them is 28 cm / 11 inches tall. The set is limited to 3000 pieces.